Scream - anda Think anda Know Movies? if they replace neve campbell for sidney would anda like it why atau why not? Do anda own any Scream merchandise? Do anda think that Neve Campbell was perfect for the roll? What shocked anda most, in "Scream"
Before I start, this is sejak no means an invitation to cari for the exact website I'm referencing to and be mean to commentators. I just thought people would find this funny. Thank you! This is an elaborated artikel based on my komen-komen and posts on couple of peminat picks and forum topics here. "Yes it is, Sid. It's all one great, big movie. anda just can't pick your genre." Billy may not have an outstanding personality as a killer but he certainly has much to give as a whole character. I Cinta him to bits! atau tried to kill. This is only about the original Scream because I don't care enough for the sequels. 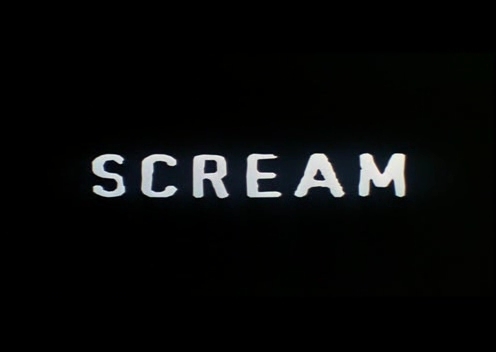 1.From the opening scene, moviegoers in 1996 were scared silly sejak Wes Craven's "Scream." After all, the character played sejak the most famous actor in the cast was done in before the opening credits. But that wasn't how it was originally planned to be. There is a 20th anniversary screening of SCREAM on 12/8/16 at the TCL Chinese 6 Theatres in Hollywood. A Q&A with David Arquette follows the screening. Trivia & DVD prizes and more. Ticket includes complimentary bir for guests who are 21+. a pop quiz question telah ditambah: who is the first to die in the original scream? Where does Casey's father tell his wife to go after they return utama to find it trashed?